You are set to be the star of the show in our statement Edith top . 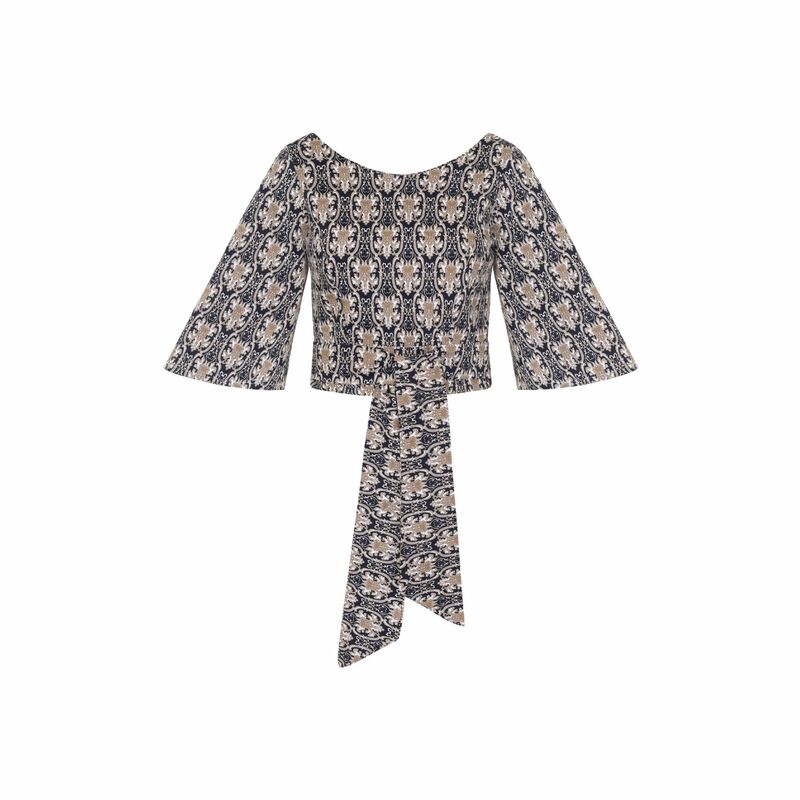 Created in stretch cotton featuring 3/4 kimono sleeves. This patterned princess line top is a must have ! Pair with high-waist jeans or our coordinating Finlay trouser for a truly striking outfit. model is 5ft.11" tall is a UK 8-10 and wears size 10 Edith top. Fits true to size take your regular size. Top has stretch across bodice.